Welcome to week 2 of our online study, In God’s Presence. We are thrilled to have you back or to have you here for the first time. If it is your first time, do not run away thinking, “I am behind”. You are welcome! You can start today or you can go back and read week one, here on the blog. The awesome thing is that every post for the study is beautiful in itself and has a truth to share with your heart. Today our very own, Jodie Barrett, opens up about being a military wife and shares about the peace she received at a time when she needed God more than ever. Last week we discovered that in the presence of God there is God. What I now understand, is that the more we discover what His word says about His character and His promises, the more attuned we are to His presence. For truly we can trust He will never leave us, He is always with us. 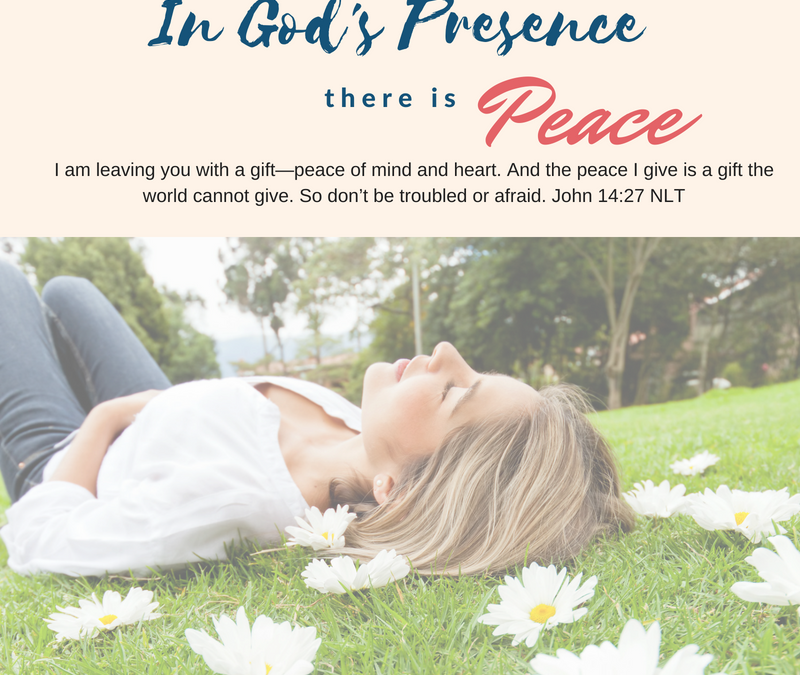 Today, I join the twenty plus women in sharing a personal testimony of a time when God’s presence consumed me with peace. Being a military wife comes with sacrifices, struggle, and worry. Admittedly, I know that the Bible instructs us not to worry, and yet I worry. After orders were received for my husband to deploy to a foreign country for a year, my worry was at an all-time high. Here is a good time to tell that I tend to be a control freak. How could I possibly control anything when my husband would be out of contact, out of reach, and out of my control? I knew that I would never survive a year without pleading for God to be present with my husband, trusting that God alone, could and would always be with him. Knowing things in your mind doesn’t always help. Sometimes what your head knows, your heart must also trust. One day, in preparation for what deployment would bring, I crawled into my closet, my bible in hand. The world’s noise was my enemy, I had to drown it out. After reading in Psalm 18:28-29, “For You, O LORD, light my lamp; my God enlightens my darkness. For in you I can charge an army, and by my God I can scale a wall.”, I asked God to take over my thoughts. Claiming the promise of these verse for my husband, I released my control and trusted my husband and his troops with God. His protection is far greater than any I can offer. His presence knows no bounds. His strength has no limits. His peace consumed my heart like a wave consumes the shoreline. Worry is wasteful, and prayer is powerful. Prayer engages the most powerful One to act on our behalf. I did ask God to remove His peace from me if I needed to have concern for my husband. Guess what? His peace never left, my prayers never ended, His presence my constant in an ever-changing world. I love you, Lord, my ___________. my _______ and the horn of my _______, my _________. Are you currently facing uncertainty? Is there a situation you are having trouble releasing control over to God? Does distance matter to God? According to the psalmist, He _______ from on ______. Are our enemies any match for the strength of God? Does knowing this help you feel the presence of His peace? Join us tomorrow as we talk about courage in God’s presence. We are praying for you! “Worry is wasteful, prayer is powerful” and God’s peace cannot be explained. My son was deployed overseas twice with the Army and we knew the Lord held him no matter what. It was a great opportunity to brag on God. If you’ve never experienced this peace, and you see it in someone else, it seems curious. Thank you for sharing your story. It was a reminder of God’s faithfulness. It is so hard to explain, but does offer the opportunity for us to boast in the Lord. I love the word you used, “curious”. I know many were curious as to why I was so calm and assured. Thank your son for me. My husband is Army also! Oh, Jodie, thank you for your testimony. I, occasionally, feel guilt for not worrying about a situation that would have many mom’s frantic. worry and guilt are not of God-they are from the enemy trying to deter us from God’s peace. I had to let go or the fear and guilt would consume or even physically kill me. Those that do not walk closely with Jesus can’t possible understand and I get that. 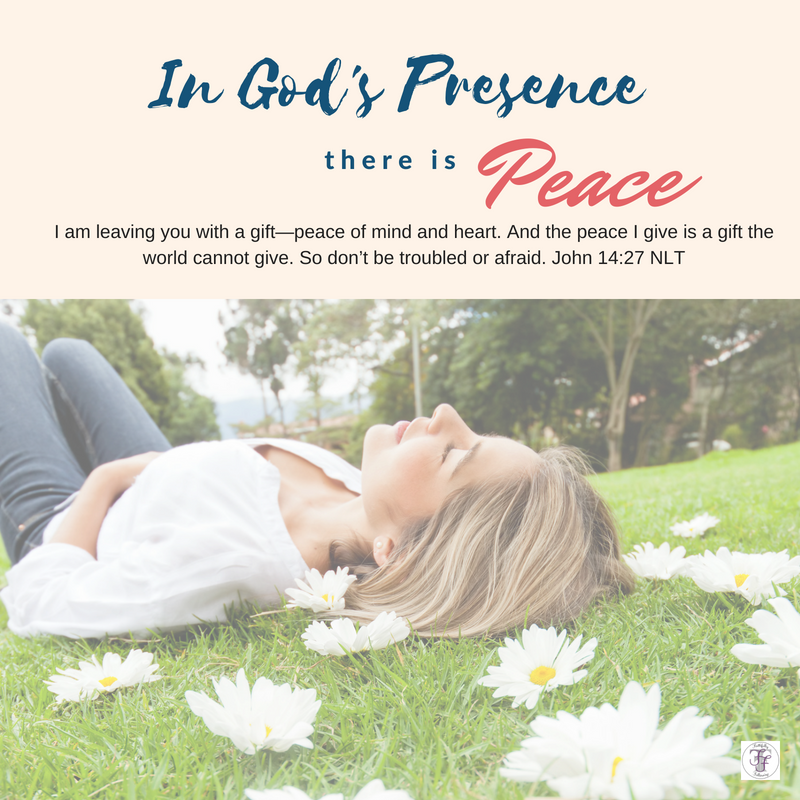 There is most assuredly peace in God’s presence! Motherhood is one area that is so difficult to “let go and let God”. You are correct, it’s hard to explain to those who have not experienced HIS peace. I’m thankful for praying friends that help me overcome worry and usher me into peace. So thankful for you! I loved your statement about feeling guilty for not worrying. That is so right on target. The world and the enemy does not want us to rest in the peace of God. No better way to cause confusion than to bring in guilt, as if we don’t love enought if we don’t worry. What a lie of the enemy. God says in Philippians 4 that we aren’t to be anxious and that through Him we have a peace that surpasses understanding. You had that peace!!!! Bingo! Guilt is from the enemy. I did have that peace and today I pray others will experience it as well. My husband loves what he does and I’m thankful for every member of the service that offers the same sacrifice. We appreciate your love, support, and prayers. Well ladies, here is a testimony that you are doing God’s work in this study. I am a day behind but guess what? Jodie, your words are exactly what I need right this minute. I have spent the morning making lists of things I need in order to prepare for the possibility of a major flood here because of Hurricane Florence. We have already been through a devastating flood in 1985 and I don’t want to have to do it all again. My chest is tight. My spirit low. I. Have. Been. Worrying. Then I read the John scripture and I think ahhhh this is what I need. THEN I get to Psalm 18:16-18!!!! “He drew me out of deep waters” “in my disaster but the Lord was my support” I am literally crying as I type this! Thank you for following God’s leading and doing the work to put this all together! God is speaking through you! God is so awesome! He knows just the right timing. I am praying for and with you. I’m asking the Lord to push this storm out to sea. He is in control, trying hard to trust!